Cheap Stagings Don’t Help Sell Homes! Lately, I see some stagers using low-quality furniture (sorry, Ikea) in their stagings of mid- to higher-priced homes, and the results are a poor impression on buyers. For example, using a tiny bistro table with 2 wire chairs does not add style or warmth appropriate for an eat-in kitchen, in my opinion. Instead, it tells buyers “this eating area is so small only 2 people have room to sit here.” NOT the impression that helps sell a home! The same goes for futon-style furniture, master bedroom beds without headboards, sofas with skirted slipcovers, cheap-looking end tables, old-fashioned dining room tables, etc. 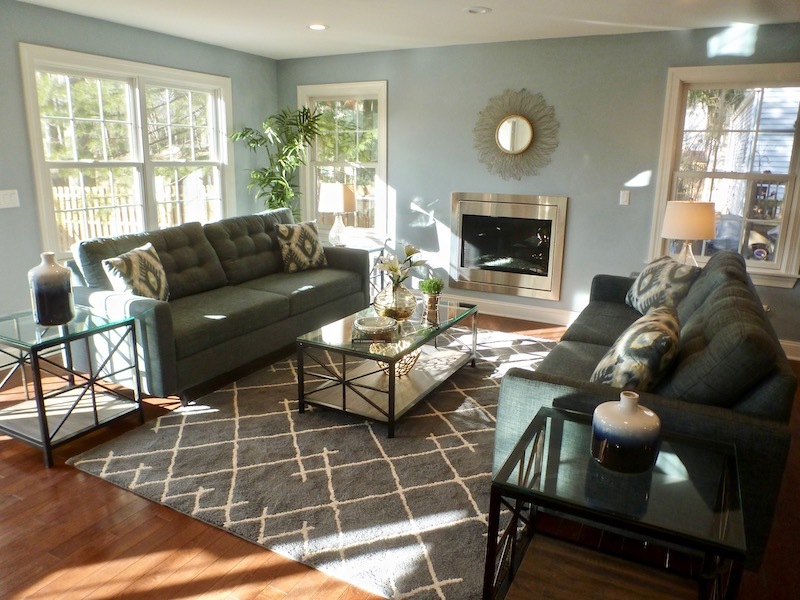 In staging as in most things in life, you get what you pay for, and if you aren’t at least making the furniture suit or go beyond what buyers expect for the price of the home, then staging will likely not help sell a home faster and for more money. You can use cheap furniture to show buyers where and how furniture will fit, but you are not creating the lifestyle vision that will make your house memorable and desirable so it stands out from the rest!